A long, long time ago, in a galaxy far far away, before the first Enterprise took flight, before the TARDIS was stolen, there lived a sickly child. And, as it turns out, this sickly child read a lot and wrote a lot. Way back then, I lived in the wild, wild west on the front range of Colorado. Colorado Springs was small then, full of open spaces. The public library was way, way on the other side of town. There were no bookstores. The only library available to me was my school library. I checked out every book I could read. By fourth grade, my favorite authors were already Mark Twain, Jack London, Tolkien’s The Hobbit. And if I wanted to have my very own copy of a book, so I didn’t have to return it, I copied the book. 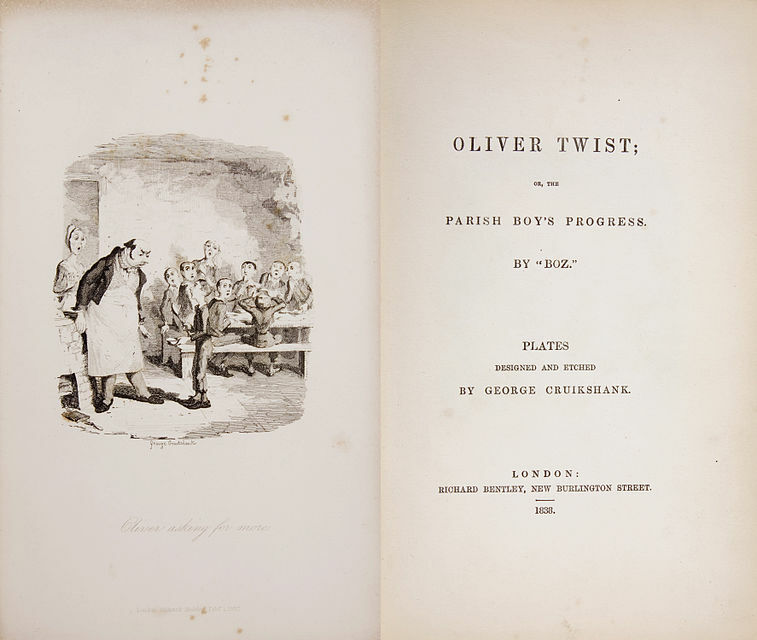 One of the first and favorite books I copied was Oliver Twist, by Charles Dickens. You may remember, Charles Dickens wrote the story in part to expose the hypocrisy and cruel treatment of orphans in mid-19th century London. Dickens blended a grim realism with satire to describe the effects of industrialization, creating a story of an innocent child trapped in a life with no hope. What better story to entertain a sickly child! Little did I know that it was a good thing, to write by hand. Scientists now know that cursive writing is an important tool for cognitive development. It teaches the brain to be efficient, helps to develop critical thinking skills and refines motor control. In fact, children who learn cursive tend to learn how to read faster, generate more ideas and retain more information. 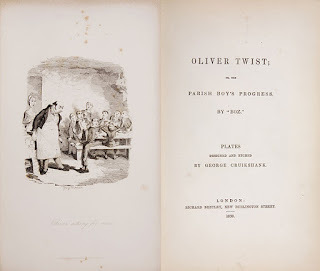 When I was copying Oliver Twist in the fourth grade, I paid more attention to the details of the story. I experienced the characters on a deeper level because the very act of writing them out engaged all my senses. I had to pay attention to the words, how they were ordered, and how they were used. And, of course, I experienced the linear logic of the plot. 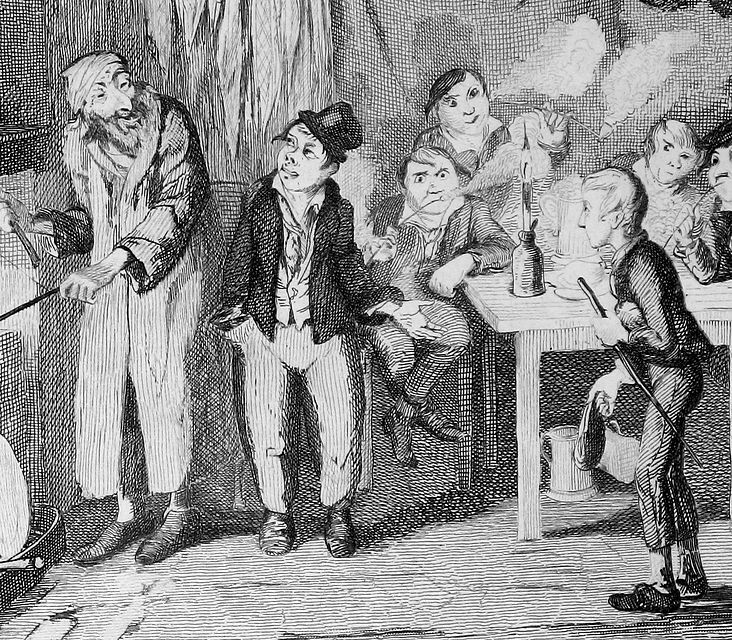 One of my favorite characters in Oliver Twist was Jack Dawkins, otherwise known as the Artful Dodger. The snub-nosed, flat-browed, common faced pickpocket and leader of the gang of child criminals. He was not without heart, however. It is the nature of reading that every story we’ve read stays with us, and its characters become a part of our lives. We are the product of all the stories read and lived. Even as we become characters in each other’s story. These stories settle within us, blend with our experiences – for why else could we become so attached to these characters, unless we see them as friends– and work their magic on us. They engage, and encourage, and guide. And, when we least expect it, especially as one becomes a writer, such persistent characters ooze to the surface in some form found in our own works. Many light years down the road, when I read about the history of San Francisco, about the plight of the poor and that gallery of characters that walked those cobbled streets along the Barbary Coast, it was no accident that I envisioned Oliver Twist meets the wild, wild west. “Jack of all trades, Lady Jane had called her. Pickpocket, escape artist, and a bold little rascal. A kid after her own heart, said Lady Jane. Lady Jane named Jack after one of her favorite towns, London. Jack London, that was her name. And this den was her home. “She was by everyone’s accounts ordinary. Not small, not tall, not too thin. Not so clever as some but not near as dull as others. All except for her eyes. They were a pale, bright blue. They seemed like ghost eyes. Old sailors said she had the evil eye, saying she brought nothing but bad luck to everyone she knew. Get away with those buggery eyes, they warn her, or they’d take a switch to her backside. What favorite reads did you have as a child? How did they influence your life? By the way, Teaching Authors did a series on writing longhand versus typing. You might be interested in Carmela Martino’s discussion here. Excellent piece with which I wholly agree (my only quibble is that a light year is a unit of space, not time ;) )! And bonus points for all the SF! Teresa: What a good catch! I knew that! Ta-da, I've edited it just for you! Not that space has roads -- even as we might make the argument that it has something like designated pathways, otherwise all those starships and cruisers might bump into each other. Unless you're on the Millennium Falcon. Or a Delorean-- , but this is syfy,where tornadoes can have sharks and crocodiles can have the eight legs of an octopus! I still write out (or type out) the text of books I admire. My very first Writing for Children teacher, Gretchen Will Mayo, recommended the practice to better understand & connect with the language of a book. It helps me pay attention to every single word. And I also wanted to be Jo March. Oh, I loved learning how in 4th grade you copied in cursive all of OLIVER TWIST, Bobbi! JoAnn: Gretchen is a master! How lucky are you! Jo March seems to be a perennial favorite. Pretty amazing if one considers the book was written over a hundred years ago. I wonder if there are any contemporary female characters that will be able to make that claim? Yvonne: The Egypt Game is a fantastic read! What a great recommendation! I'll have to find it at the library, and rad it again. Snyder was a prolific writer, indeed. Esther: I remember exercises in elementary school, a very long time ago,following the discussion of our reading, the teacher would give us a prompt and ask us to write something, mimicking the author's style by choosing one of the characters. It's a great way of learning about style, voice and using details to reveal plot or character! What LONG but wonderful stories you chose to write out, good for your former little self. And your new work featuring a 'Jack London' character sounds like something I'd love to read!